The Mommy Island: Celebrate Their Special Day With National Geographic Kids! Celebrate Their Special Day With National Geographic Kids! I received the titles mentioned below in exchange for this post. All views and opinions reflect those of my own. Sponsor is responsible for prize fulfillment. I just love Fall as all the leaves start to turn and fall from the trees. Our street has turned a bright orange this week and it's breathtaking to drive the country roads where I grew up. Watching the leaves turn on our trees I can't help but think of the passage of time. Our daughter just had her 3rd birthday! Time really flies. Our extended family has lots of birthdays in October. Do you have upcoming birthdays to celebrate? National Geographic Kids Books make the perfect birthday present for young readers! Check out these engaging titles and enter for a chance to win them. The best selling almanac for kids on the planet!! Kids love it because it is curated and created just for kids and it's packed with incredible photos; tons of fun facts, crafts, and activities; and fascinating features about animals, science, nature, technology, and more. New features include an updated "Fun and Games" chapter filled with all-new games, jokes, and comics; all new weird-but-true facts; "19 Facts for 2019" feature in every chapter; updated reference material; and cool stuff on topics today's curious kids care about. Plus This year’s Almanac Challenge 2019 — Lions Forever! -- encourages kids to get involved and make a difference. The focus is on highlighting the threats lions face and the importance of saving them. Kids are encouraged to visit natgeokids.com/almanac to create a lion poster and send a message with their entry about why they feel lions must be saved. Winner will receive a $500 cash prize! Want to know the who/what/where of the coolest stuff on the planet? Countdown with this fun picture list book, featuring the 8 most awesome things in over 50 fun categories that are absolutely epic! Stunning photographs illustrate the countdowns that include such engaging topics as Most Ancient Mysteries, Amazing Mazes to Get Lost In, Seriously Cool Space Sensations, Most Mighty Miniatures, Funkiest Food Mash-ups, Most Fabulous Fairy Tale Fashion Pieces, Most Clever Creatures, Highest Altitude Adventures, and so much more. Can you detect a hoax from the real deal? See right through photo trickery? Spot the phony logic in a story in seconds? Kids put their sleuthing skills to work in this riotously fun book to see if they can find the truth behind bizarre stories, faulty facts, iffy lists, news headlines, and more. Check the Fib-o-Meter to find out! Complete with incredible photos and quirky collage art, this is another Nat Geo Kids book you have to read to believe...or disbelieve! Get ready to go the extreme — it’s time to set the record straight! This book explores the most out-there records the world has to offer — from the tallest mountain to the deepest cave, from the smallest drone to the fastest trains from the most dangerous thing underfoot to the most dangerous jobs around and from the oddest ancient creatures to the tiniest, deadliest and most extreme animals on Earth. In every chapter check out Case Studies, Spotlights, and Creature Features; watch two extremes go head to head in "SmackDown Central” read all-out long-ago extremes in “Blast From the Past.” At the end of each chapter it’s all about fun and games: rank the extremes you read about, do some myth-busting and even try out a delicious ice cream recipe! Following up on the best-selling Little Kids First Big Book of Why the next book in the hit Little Kids First Big Book series features even more of the endless "Why?" questions preschoolers love to ask! This charming reference book answers some of kids' most burning "Why?" questions. More than 200 colorful photos are paired with age-appropriate text featuring answers to questions like "Why do dogs sniff everything?" "Why do I burp?" and "Why is ocean water salty?" This book inspires kids to be curious, ask questions, and explore the world around them. Don't forget the Birthday Card! Make birthdays magical with this book, filled with creative activities, cool tips, amazing photos, and 30 cool pull-out birthday postcards.Precious animal photos paired with heartfelt and funny (and pun-ny!) captions help kids celebrate that most special of days. Each card also leaves plenty of room for kids to craft their own messages to show friends and family how much they care. Content includes tips and tricks for writing fun and friendly birthday notes and being a good guest, as well as cute creature pictures to spread that warm, fuzzy feeling far and wide. One entrant will be selected on the entry form to win a National Geographic Kids Book Prize Package! (ARV $75) Open for entry US, 18 years and older from 11/1/18 at 12:01 a.m. ET thru 11/15/18 at 11:59 p.m. ET. No purchase necessary. Void where prohibited. The winner will have 24 hours to respond to notification email to claim their prize or a new winner will be selected. 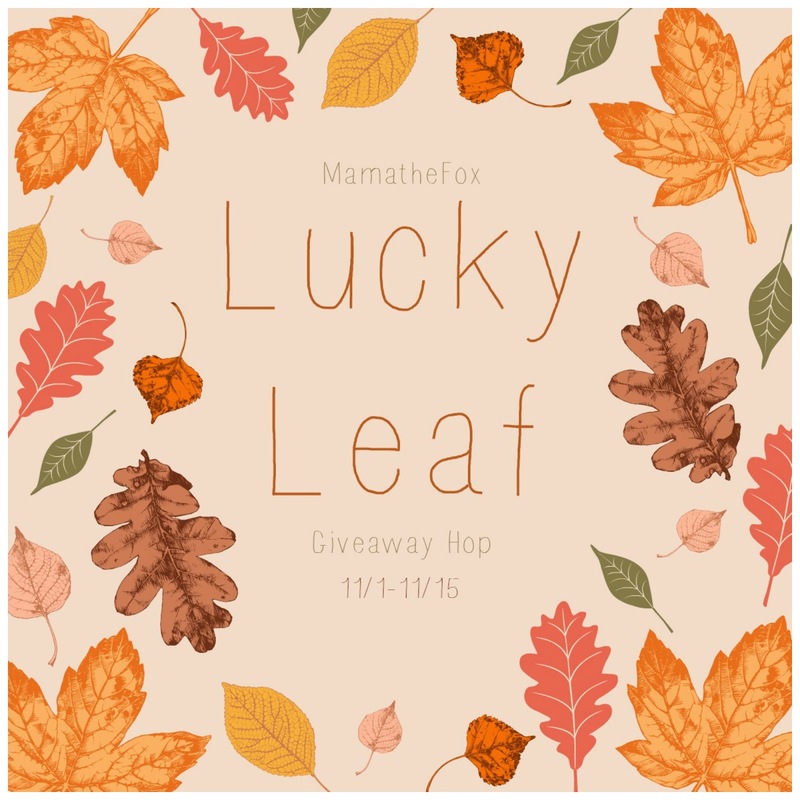 See Rafflecopter for official rules. The Mommy Island and participating bloggers are not responsible for prize fulfillment. The Mommy Island, MamatheFox, and all participating blogs are not held responsible for sponsors who fail to fulfill their prize obligations. The almanac would be very helpful learning. My son who is reading at this level and above would love them all. But I am thinking he would go for awesome 8 epic and extreme records! Thank you for the giveaway! I am most interested in this book: Little Kids First Big Book of Why 2.
i think my kids would like the extreme records book, they are obsessed with gaining notoriety! I am looking forward to reading the Awesome #8 Epic. I love books like this one that talk about odd foods, places in the world, etc. Thanks so much for the super giveaway opportunity! I think my nieces would enjoy Real Or Fake. I think Real of Fake is important. Kids believe everything they see and read on the internet. They need to be able to discern the difference and be more critical of what they read/see. My grandson would be very interested in their Extreme Records Book. He would find it very interesting to read. I would be most interested in the Little Kids First Big Book of Why because my grandson is at the stage where he asks why often. I like that Little Books Questions Of Why 2 book for my five year old grandson to read with me. I am most interested in Awesome 8 Epic. The birthday cards one looks so cute, but the real or fake would probably grab my attention the most. I think Awesome 8 will be my nephew's favorite. I think my grandson would love all of these but i'm sure he would definitely read the Real or Fake book first. I'm most interested in Little Kids First Big Book of Why 2. Thanks. I am most interested in Extreme Records. Real or fake looks interesting! My kids favorite would be the Big Book Of Why2. I would choose Extreme Records as my first choice but would like to read all of the listed titles. Oh they all sound so good! We love reading things like this at night before we go to bed! I think our favorite would be the Extreme Records! My favorite book is real or fake. I think my grandsons would like them all, but I think they would enjoy the real or fake book as they like guessing which was real and which was not true. The Almanac 2019 the grandkids would love. I'm really interested in Extreme Records. 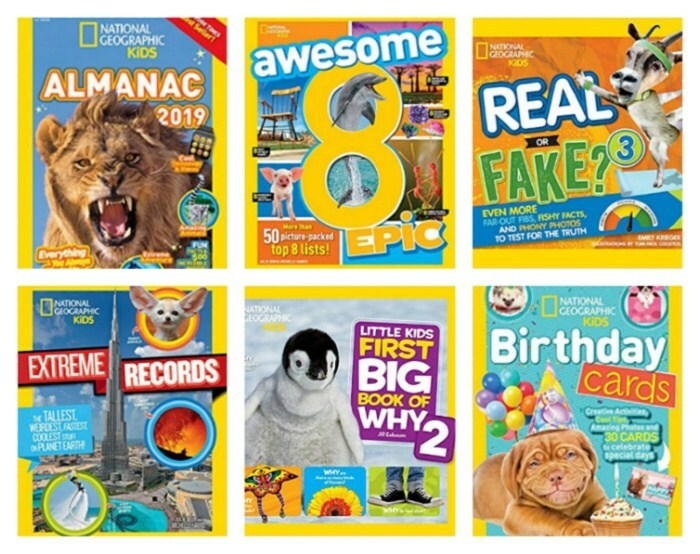 I'm most interested in the book National Geographic Kids Almanac 2019. I think my daughter would go for the Birthday Cards book first!